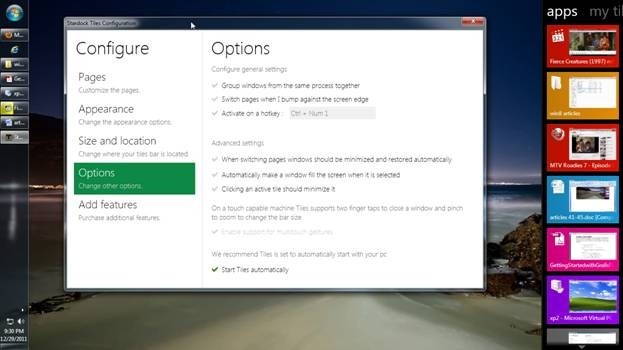 You can bring Windows 8 style App bar to Windows 7 desktop. You need to download and install Software called as Stardock. 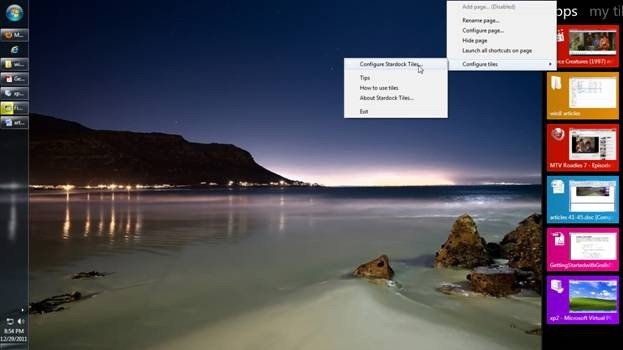 Here is how to bring Windows 8 App Bar on Windows 7 Desktop with Stardock Tiles. 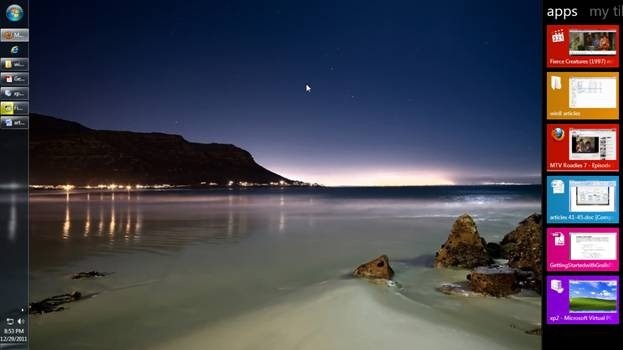 Stardock is a utility which creates a bar on the right side of the screen. You can see the preview of all the open applications in that bar. When you click on the preview of a particular application that the application is maximized. This is of great help if you have a habit of opening and working on a large number of applications at a time & you face difficulty in their management. You can download Stardock from here. After installing the downloaded file, when you run it for the first time, you will see a “How to use Stardock tiles” screen. Click close to proceed. Also check out our post on Customize Windows 8 Desktop Screen. Now you can see a rectangular bar attached to the right side of your screen, containing a tile for each of the open applications. When you open a new application or file, a corresponding tile get added to the bar. The bar consists of two pages by default apps and my tiles. You cannot add extra pages in the free version. When you right-click on a page, you will see a pop up menu with options to rename or configure or hide the page. If you want to configure tiles of a page, you can click “configure tiles” and then select “configure stardock tiles” from the sub-menu. 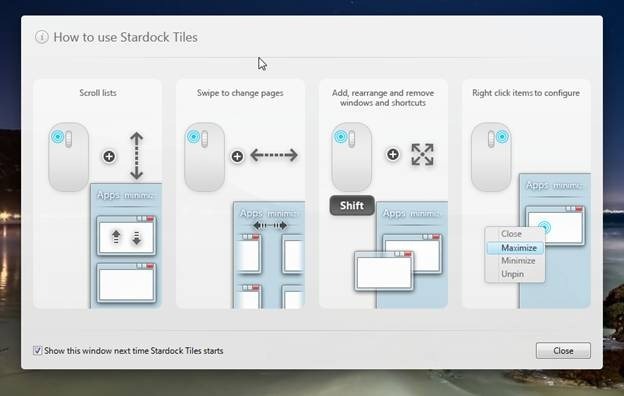 This will open the Stardock tiles configuration dialog box that provides a whole bunch of options to configure pages, appearance, size, location, options and allows to add features.